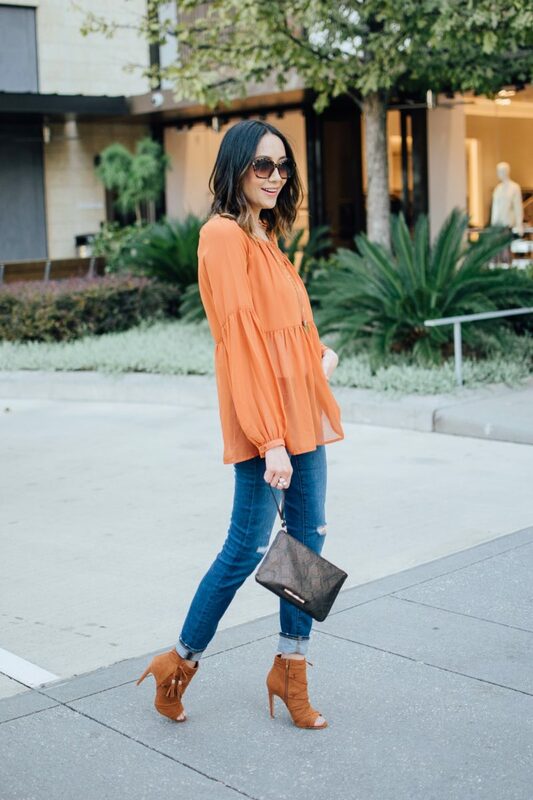 Lilly of the blog Daily Craving I literally met through Instagram. One of my first interactions with her, was leaving a comment on her Insta asking her what is the name of a red lipstick she was wearing because it was gorgeous on her!! (It was Revlon Matte “Really Red” by the way, and yes I went straight to the drugstore, bought it, and love it). My plan was to feature a blogger every month with this series, buuuutt life got in the way and I got a little behind, but hopefully Lilly will get me back on track. As a reminder since this is fairly new, this series is where I am going to introduce bloggers to you that I find inspiring, original, and to be beautiful women inside (most importantly) and out. PLUS the fun part is that I am going to ask them some questions to let you get to know a little bit more about them and how beauty plays into their lives and blogs. I already have a list of beauty and skincare products I want to go check out ASAP! Where did you grow up? – I grew up in Houston, TX! What is the name of your blog and how did you come up with the name? – My blogs name is Daily Craving. I came up with the name because I literally crave fashion & shopping on a daily basis, I thought the name was the perfect fit! Who did you learn about makeup application from? My mother has never really worn too much makeup (that’s probably the secret to her great skin) and my sister either. I learned all the tips and tricks of applying my own makeup by reading Seventeen Magazine as a pree-teen & teenager! Is there a standard of beauty you abide by? None at all. 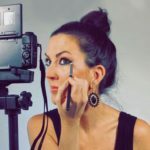 Is makeup or beauty a part of your blog at all? I like to incorporate it every now and then, but Daily Craving is mostly fashion. Which is more important to you – hair or makeup? That’s a tough one, but I’m probably going to go with hair! Only because I have naturally curly hair and I’d much rather go to the grocery store with neatly styled hair and a fresh face, than with a full face of makeup and a mess on top! Biggest beauty blunder you have ever made – Uhhh. maybe over plucking my eyebrows in high school?? What does your skincare routine look like (day and night)? – For day I wash every morning with my Clinique Sonic System Purifying Cleansing Brush along with the Clinique Liquid Facial Soap. Then go in with their broad spectrum SPF 30 cream. For night I use Their 3-step, cleanse, exfoliate, moisturize. I always remove my makeup before with the Take The Day Off Balm (you guys must try, it’s amazing) After the 3-step I go in with yet another Clinique product, Clinique Custom Repair Serum or Even Better Clinical. I SWEAR this isn’t sponsored lol! Biggest fashion and/or beauty tip you swear by – For fashion my only “rule” or thing I would swear by is BE YOU! Wear what makes YOU feel beautiful, confident and comfortable. What do you love most about your look? (And yes there is something! Don’t be shy) – If by “my look” you mean my body, I’d have to say my legs! I feel like I hated them most of my childhood and teenage yeas but now I get tons of compliments. I’ve learned to embrace and love them. Do you have any pets or children? Yes, two handsome little boys! Evan 9, and Mason 5.